$5.00 – $6.00 per day, discounts apply per week or month. Traveling with children or toddlers to Toronto or Vancouver? You’ll need to rent a booster car seat for children weighing more than 18 kg but less than 36 kg (40-80 lbs) and who stand less than 145 cm (4 feet 9 inches) tall. It’s the law in Ontario and British Columbia. Most booster seats are not held in the vehicle seat with LATCH. Instead, your child is secured using the cars’ shoulder and lap belts, taking the place of a 5-point harness. We do carry boosters with LATCH clips, available upon request. Before you install the booster seat, we recommend you read the manufacturer’s instructions and your vehicle owner’s manual for installation instructions. You may also want to check out these tips for installing child car seats in Ontario and B.C.. 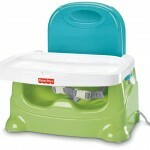 Booster seats are designed for children who are at least 40 pounds and 4 years old. They are only to be used in the back seat. Keep in mind that the safest place for your child to sit is in the middle position of the back seat. There are high back booster seats and low back seats each used in different situation. The low back booster is used if there is a head rest in the back seat while the high back booster is used if no headrests are available. 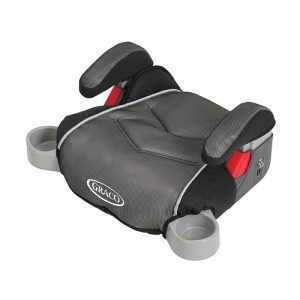 Wee Travel offers a great booster seat manufactured by GRACO, BRITAX, and CLEK that converts from high to low back for use in different vehicles. Most low back boosters come with a little clip on a strap. This is the “belt positioning device” and is used to keep the belt away from your child’s throat. Check the seat manual for specific instructions. The high back boosters typically have the “positioning devices” built in. Prior to renting a booster seat, it’s a good idea to confirm the availability of headrests in your car so that we are able to provide you with the safest seat for your child. Wee Travel now also offers new low back booster recently available in Canada, manufactured by CLEK. It’s a great seat because it uses the UAS clips and remains attached to your car even when not in use by your child.